Food packaging made with Aegis® Nylon 6 resins are tear- and puncture-resistant with excellent flexural strength. These characteristics make these resins well suited for meat and cheese packaging and other packages having sharp edges. 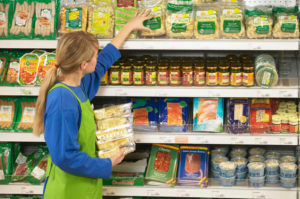 In addition, Capran® biaxially-oriented nylon (BOPA) films can be used in a variety of packaging applications requiring excellent mid-barrier oxygen requirements and extended shelf life. These range from general foods, pet foods and coffee beans to packaging lids and liquid bag-in-a-box flexible containers. Selecting Capran® nylon films can help you meet a virtually unlimited range of flexible food and liquid packaging needs. Equally important, you can count on a knowledgeable team of application development engineers dedicated to support your needs and requests. Contact us to see how we can enhance your manufacturing processes and flexible packaging applications.